Just as libraries do not vouch for or endorse the viewpoints of written material in their collections, they do not do so for electronic information. 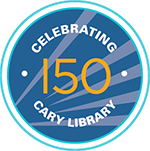 The Cary Memorial Library assumes no responsibility for the use of the Internet by children. It is not possible for library staff to control specific information children and youth may locate on the Internet. Selection policies, which serve to govern a library's purchase of written materials, may not apply to material accessed electronically. It is the responsibility of the user (or parent, guardian or caregiver) to determine what is appropriate. Using resources for educational, informational and recreational purposes only but not for unauthorized, illegal or unethical purposes. Respecting the privacy of others by not misrepresenting oneself; by not attempting to modify or gain access to files, passwords, or data belonging to others; by not seeking unauthorized access to any computer systems, or damaging or altering software components of any network or database; and by not interfering with other's use of public access workstations or the guest Internet access. Making only authorized copies of copyrighted or licensed software data. Not sending, receiving, or displaying text or graphics which may reasonably be construed as obscene. Misuse or abuse of the Library's computers or guest Internet access will result in suspension of Internet access privileges. Persons using this equipment, or their own equipment and the Library's guest Internet access, agree not to make any changes to the setup or configuration of the software or hardware. Library staff is available to assist users in their use of these resources, but may not be familiar with every application or device users wish to use. Due to scheduling constraints, there may not be an Internet trained librarian on duty at all times. Because of the many different Internet applications available, and the variety of devices users may bring into the Library, the Library cannot provide complete technical support.